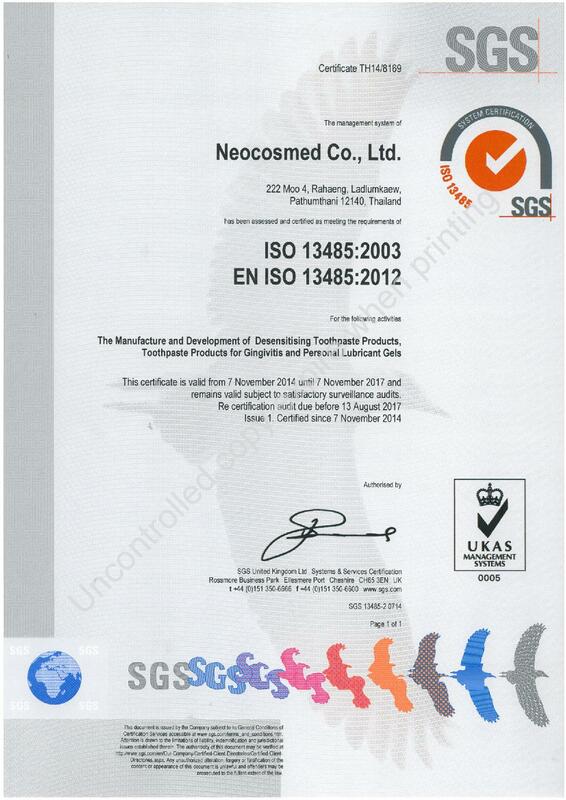 NEOCOSMED - The OEM Manufacturer of Cosmetics maintains a strict quality policy ensuring quality and safety at every step of the manufacturing process from raw material, through work in progress to finished product. Quality of products and service is guaranteed through a three-fold approach which firstly ensures continuous follow-up and testing; secondly by supporting human resource development through continuous training; and thirdly by implementing and operating under recognized quality standards, as required by clients. 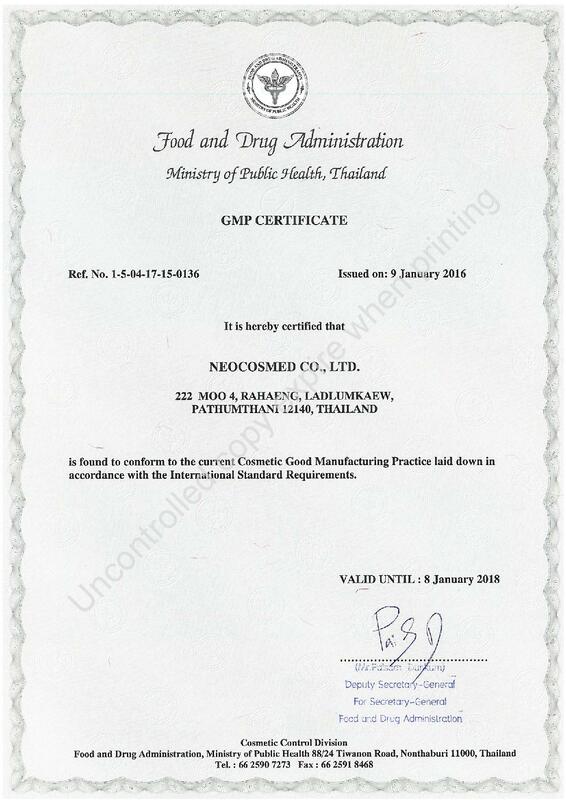 1997 : Good Manufacturing Practice, GMP from Ministry of Public Health Thailand. 2007 : Thai Labour Standard, TLS 8001 from Ministry of Labour Thailand. 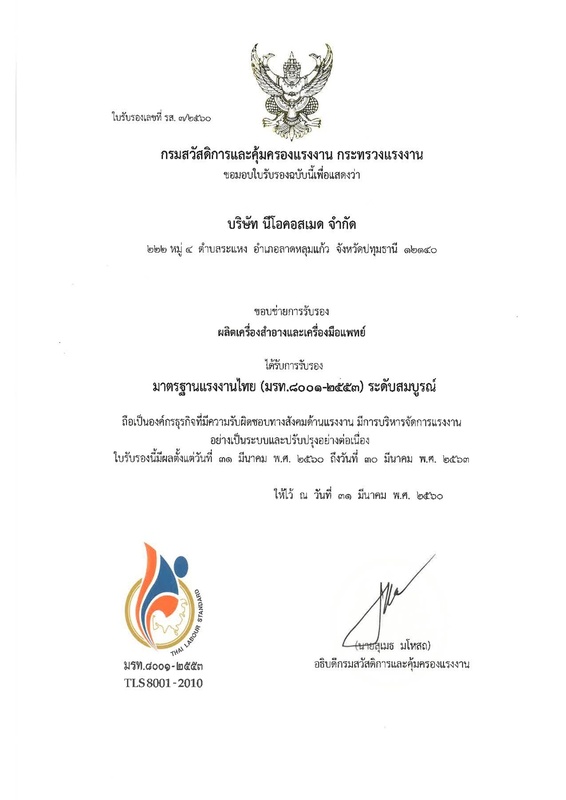 2008 : Halal Certificate from The Central Islamic Committee of Thailand. 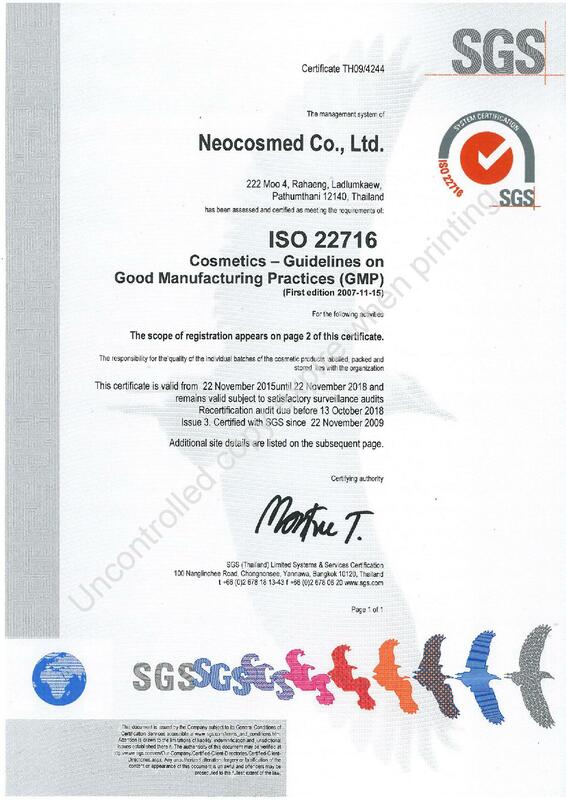 2009 : ISO 22716 (GMP Cosmetics) Quality Management System from SGS (Thailand) Limited. 2010 : Therapeutic Goods Administration, TGA (Medicinal Products) from Australian Government Department of Health. 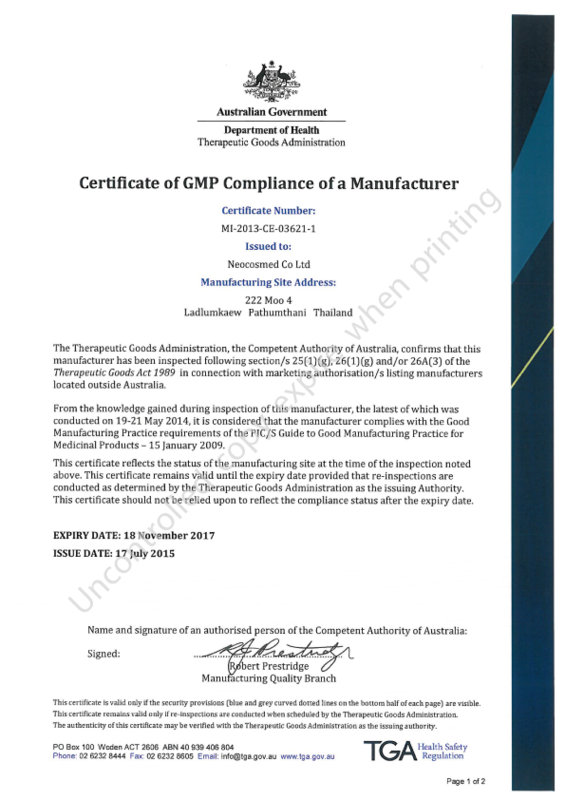 2013 : Therapeutic Goods Administration, TGA (Medical Devices) from Australian Government Department of Health. 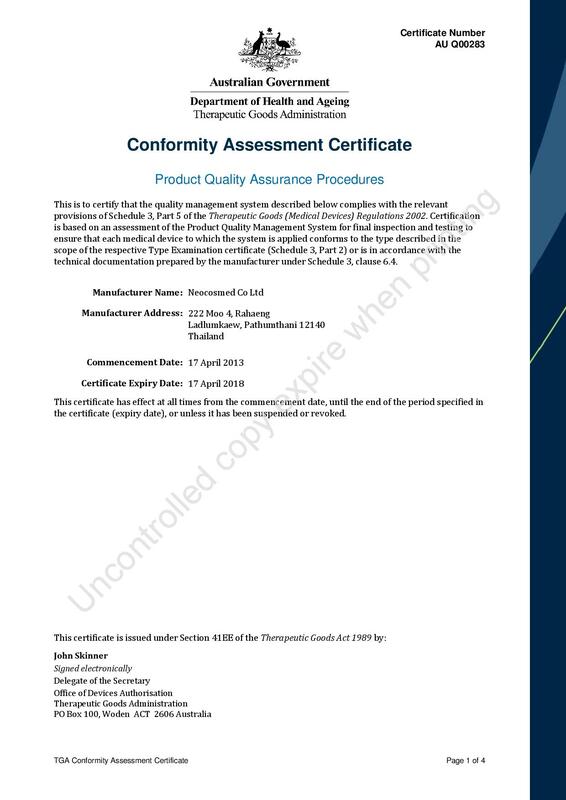 2014 : ISO 13485 (Medical Devices) Quality Management System from SGS United Kingdom Limited.